Throughout our lives there have been many moments and situations where we desired to change. Embracing change has more to do with our perception of the problem than the problem itself. The oxford dictionary defines change as to make or become different; to arrive at a fresh phase; or, become new. How Does One Make or Become Different? There are some people who desire to make a change, “I want to stop having anxiety when I go shopping”. They make the decision and they stop. Then there are others who desire to stop doing something yet it does not appear to happen so easily. They may stop and restart several times before they are able to stop the negative behavior; or, they may never stop. What is the difference between these individuals? A person’s perception, how they view the problem, is what makes their change or ability to change different from someone else’s process of change. Change is a four stage process. Different perceptions are an indication you are at different stages in the process. Stages might suggest change is a linear process; however, change is a circular process. The circle moves clockwise on a good day and counter-clockwise on a not so good day. Stage one, Pre-contemplation, “I don’t see a need for change”.“My husband threatened to leave me if I didn’t come to therapy” or “My girlfriend said she cannot take anymore”. These are statements of individuals who do not see a problem with their behavior. They might feel there is a problem in the relationship so they make attempts to reconcile the relationship not the behavior. These individuals rarely make it beyond the first session. Some never make it to the first session. If they are able to make amends in the relationship, without making change, then it is motivation to can continue with their current the negative behavior. These individuals will make excuses for their behavior, they will blame their behavior on someone else or just tell others they have to accept their behavior because this is just the way they are. They have often convinced themselves of these things so it is easy to convince others. Stage two, Contemplation, you might realize there is a problem; however, you may not know what you should do about it, what you can do about it, or if the behavior has served a useful purpose in your life you may not want to change it even if you think it is a problem. The latter is an indication of a fear of change. I have one toe stuck in the pond but I’m not ready to take a swim because the water is “murky," “too deep," “I don’t know how to swim," “I might mess up my new hairstyle," etc. During every Alcoholic Anonymous meeting individuals who wish to speak state their name and proclaim they are an alcoholic: “Hello my name is Linda, and I am an alcoholic”. The purpose of this is to get you to own your problem and call it by name. It is no different with other types of problems; though public announcing is not necessary. You have to own the problem for yourself so you can stop running from it, ignoring it, pretending it doesn’t exist, pretending it is okay, acting like it is someone else’s problem, etc. “My drinking is destroying my marriage”. “I cannot live like this any longer”,“My anger is out of control”. “I no longer want to be unhappy”. “I want to make a change”. When individuals recognize their behavior, thoughts or feelings are the problem they can begin thinking about making change. Even when change is necessary and needed it is more comfortable doing what is familiar. It feels safer to stay with what you know, no matter how destructive it may be to your life; the alternative of the unknown is often terrifying. Stage three, Preparation, making a plan to take action. The plan must be manageable, doable, and the individual with the problem, regardless of age, has to have some ownership of the solution/plan. If a person is not able to own the solution how can they own the problem. So if you want someone to get help is it better to say, “How can I help you with your decision to make change," rather than, “make change or else”. The person will either opt for the “or else” or they will manipulate you into believing change has happened or will happened. In this instance, they are more worried about caring for your distress over “your perceived problem” then owning a problem they may have. When they own the problem they will be able to give ideas about how they will make change and whether or not they will need your assistance. Often, a faulty perception can be a road block to change. It can cause one to stay stuck. Often the faulty perception lies in one thinking it is not their problem; it is someone else who has a problem, someone else is at fault, “If only they had not…," “I only did it or said it because you…," “Everyone is against me”. Now don’t be fooled into thinking just because someone recognizes there is a problem change will automatically follow. You may want your life to be different, you may even have a plan; however, you may over dramatize the process, overthink what the process will entail, fear the process (what will come next); or you may fear not being able to successfully make the change. Negative Self-Talk is often a maladaptive coping mechanism. It is maladaptive because it helps you to stay stuck through the messages you feed yourself. What are the messages you tell yourself “I can’t do it," “I’m too old," “I’m not that smart," “I can’t change like he can or she can," “I don’t deserve it," “I’m not worthy," “I’m crazy," “it’s useless," etc. Negative self-talk is directly related to fear. You talk yourself out of or into behaviors that serve a purpose for you. It is a way of coping, it relieves stress, it helps you to avoid fear, emotional pain, or internal turmoil. Many people don’t fear the change they fear the process of what needs to happen before change can actually take place. For example, a person’s anger, keeps others from confronting her, allows them to get what they want, helps them avoid past traumatic thoughts, helps them deal with self hate, shame or guilt. They may NOT realize there are other appropriate ways to cope. Some of the fear stems from real obstacles,“Who will help me?”, “Am I able to confront my demons?”, “am I capable of changing”; “what if I fail”, “can I handle the change”, “can I handle the flood of emotions”,“if I change, my life will be different; how will I adjust?”These are realistic obstacles/fears that need to be addressed. If the person cannot answer these internal questions the negative behavior, thoughts, or feelings become easier to deal with then the prospect of what may be. It is the fear of the unfamiliar; an inability to predict the outcome of the process that allows a person to continue to use maladaptive ways of coping. What may be worse is if someone has tried to create change and they have come up against obstacles for which they had no resources or support to get through, it makes trying again even more difficult. How one perceives the problem has to do with whether or not they will own the problem or recognize the problem is a problem. Just because someone else believes you have a problem does not mean you have a problem. It is only a problem when it affects you negatively, such as impacting your interpersonal relationships, affects your work, affects how you view yourself, affects your livelihood (criminal proceedings or social problems). If the problem is not perceived to be a problem to the individual then they will continue on their current path. Once you work through your obstacles you can proceed with your plan. You may go back and forth between contemplation and pre-contemplation or between contemplation and action. How Do We Get Over Our Fears? You are in the action stage once you push through your fear. Having a plan is great; however, in-order to move forward you must move beyond the fear. Stage four, Taking Action. You follow through with your plan. You may relapse (fall back into the old patterns of behavior). Understand you can relapse at any stage even after you have reached the last stage, of maintenance. Ignoring the problem won’t make it go away, leaving it to someone else to fix is not going to resolve anything in you. You have the control; you have the power. Pushing through fears are not easy; however, it is possible. You may not be able to do it alone so don’t be afraid to seek help. Everyone will walk their own journey in terms of how their change will look . When you choose to do nothing the problem usually gets worse or at best it will stay the same. These stages of change occur regardless of the type of change you may be trying to make, whether it be a made to, want to, or need to change; it could be an inability to manage your anger, inability to organized, depression, anxiety, low self esteem, in ability to parent or co-parent effectively. You may need to change how you perceive the problem. That’s right, your perceptions are often what gets in the way of you being Great! 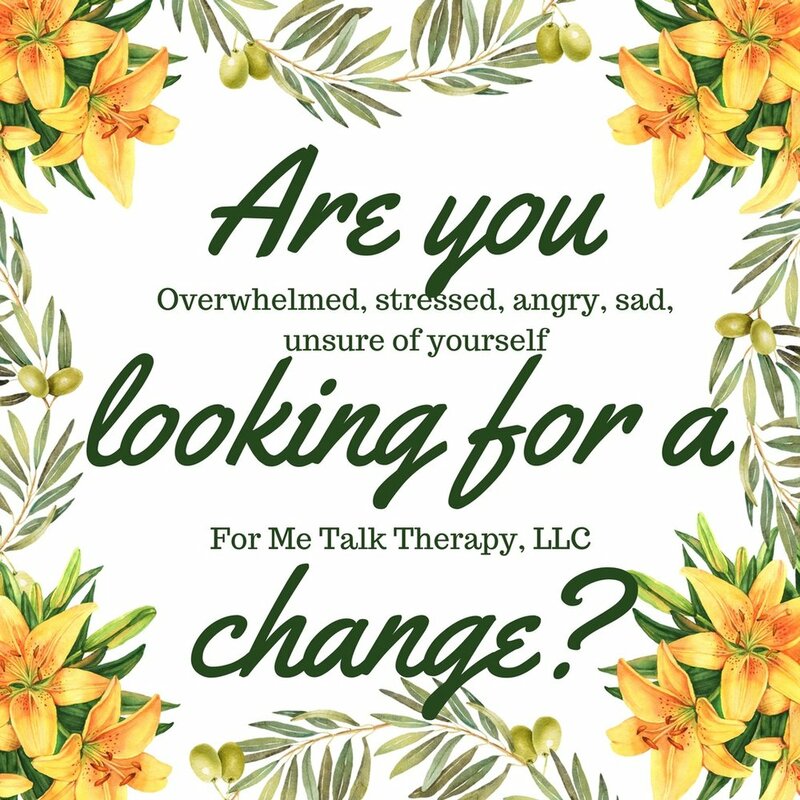 These stages of change occur regardless of the type of change you may be trying to make, whether it be a made to, want to, or need to change; it could be an inability to manage your anger, inability to organized, depression, anxiety, low self esteem, in ability to parent or co-parent effectively. Your perceptions are often what gets in the way of you being Great! Fear it keeps you suspended, as if you were between two worlds: the world of reality and the world of your imaginations and where you allow your imagination to take you. Sometimes the only way to deal with fear is to push through it. When you do this you may find things are not as scary as your mind led you to believe. Negative Self-Talk (a behavior) is a negative way of speaking to yourself which exacerbates the problem, justifies how the problem is not a problem, and convinces you why the behavior is needed, etc. The best way to combat negative self-talk is with positive self-talk. Use deductive reasoning prove to yourself the thought is not a realistic thought. Look to your supports to assist you in challenging your negative thoughts. Start owning the problem; change how you perceive the problem. When everyone around you has a problem you may want to self assess to determine why everyone but you has a problem. . Be open to others who tell you there may be a problem. You can also seek validation from individuals who may be more objective and from individuals whose opinions you value. Take action; when you feel immobile, stuck, unable to move forward you must “keep it moving”. Push through the fear. Seek professional support if necessary. Regardless of the type of change you decide to make, you will go through these stages. How you go through these stages will look different for each person. Someone else’s journey may not be your journey. Therefore, it makes no sense to compare yourself to others. Individual change is an individual sport; you only compete against your last best self. When you change it might just be the motivating factor that creates change in someone else.